1)Neutral ENSO conditions should persist through the upcoming summer with sea surface temperature anomalies (SSTA) not far from normal in the tropical Pacific. 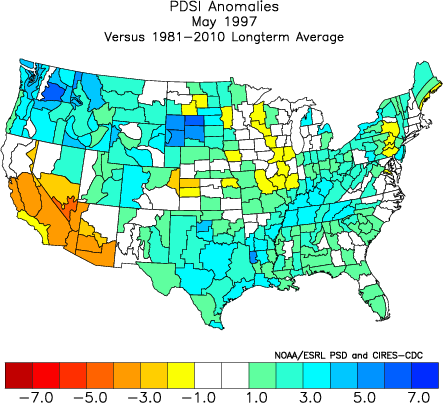 2)The negative Pacific Decadal Oscillation (PDO), or cold eastern Pacific, that we saw through winter has weakened somewhat, but will continue to be slightly negative/cold this summer season. 3)The Atlantic Multidecadal Oscillation (AMO) continues to run slightly positive/warm, with a SSTA profile of warmth near the East Coast, cold in the central Atlantic, and warm in the deep tropics. 4)The strong blocking pattern of negative North Atlantic Oscillation (NAO) and negative Arctic Oscillation (AO) that yielded a very cold late winter/early winter has since dissipated. Both indices have been predominately neutral to slightly positive over the past several weeks, and the historical tendency is for this to continue into the ensuing summer. 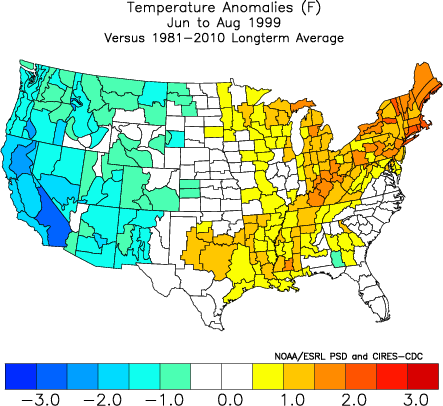 There may be a one month period of –NAO/AO, but the overall signaling should be near neutral or slightly positive in terms of the NAO/AO blocking indicators. 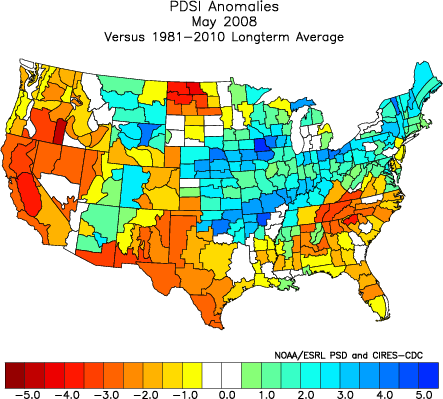 5)The closest, most similar analog to the present conditions in terms of PDO, NAO, AO, PNA, ENSO, and other factors appears to be 2001. 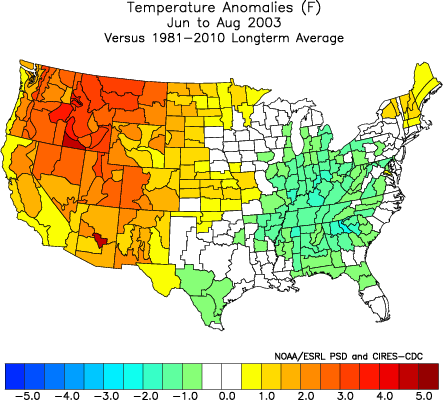 Note that analogs are utilized as tools to identify patterns and obtain clues from the past that may enable us to more accurately forecast the future. 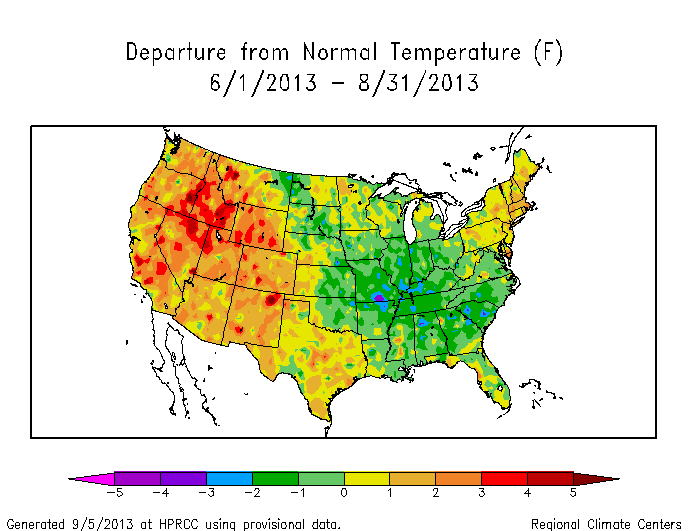 No one year is identical in pattern to another year. 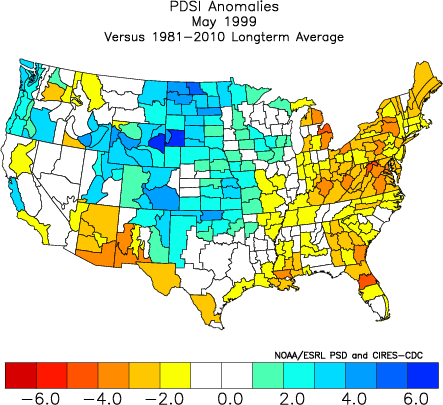 6)Palmer Drought Index and Standardized Precipitation Index for the month of May have shown to be excellent foretellers of the June-July-August (JJA) temperature anomalies across the Continental United States (CONUS). The correlation is a strong one, when examining the past 20 years. 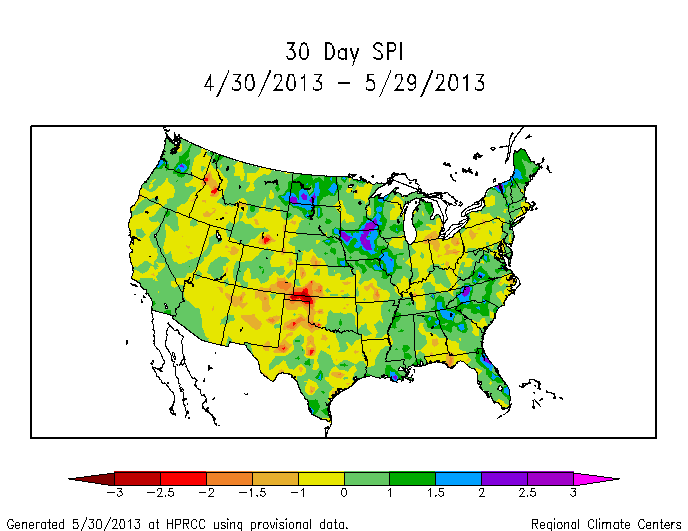 Areas of drought/dry persistence in May tend to be the breeding grounds for heat in the summer and strong ridging. 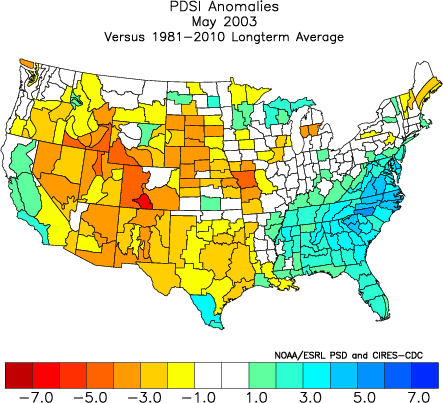 Likewise, areas of wetness / high soil moisture in the late meteorological spring tend to indicate an ensuing summer of coolness or at least less frequent heat spells. 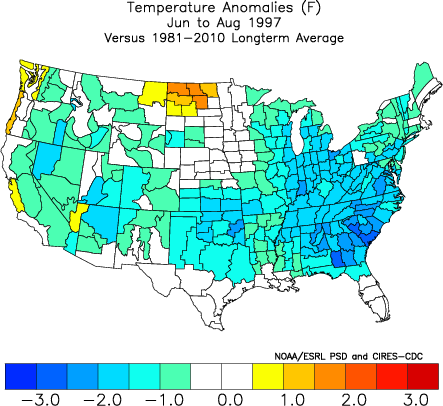 7)Patterns of strong blocking in the late spring often foretell summers of strong USA heat while patterns devoid of blocking in late spring tend to yield summers of weaker USA heat. 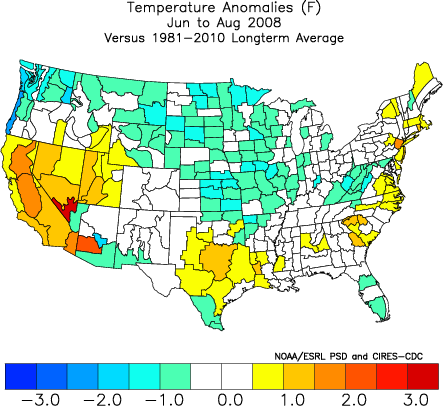 The call for a very warm Western US relative to normal and a cooler/near normal East worked out well, and the precipitation expectation for a wet/very wet East Coast with dryness for most of the rest of the Nation transpired as anticipated. 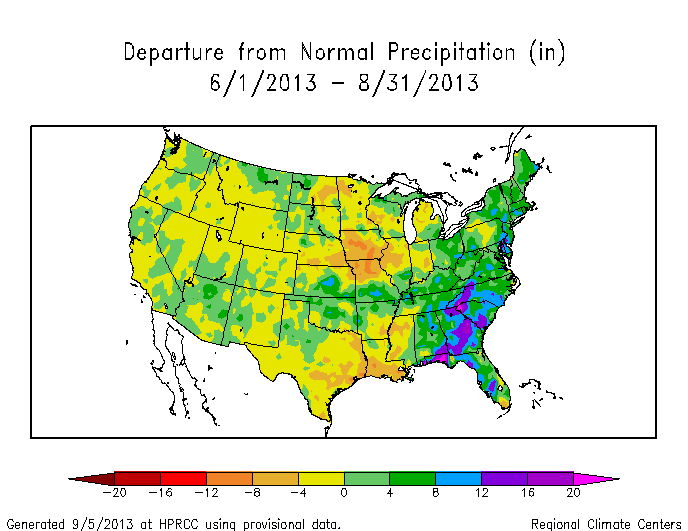 Precipitation was above normal at all sites for June-July-August. Temperatures were a touch cooler than expected in the OH Valley, and slightly warmer than expected in the Northeast, otherwise, the outlook turned out well precip/temp wise.